When it comes to sophisticated estate and succession planning, Tim Grieve is noted for his attention to detail, his ability to analyze complex situations, and his knack for explaining legal scenarios to his clients in everyday language. Tim thoroughly understands the needs of high net worth clients, entrepreneurs and professionals. His practice includes wills, trusts and estates, business and corporate law, franchising, commercial real estate and not-for-profit corporations. 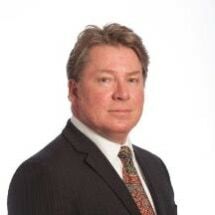 Tim is one of the founding members of the Society of Trust and Estate Practitioners Ottawa branch and is the chair of the Society of Trust and Estate Practitioners (Canada).